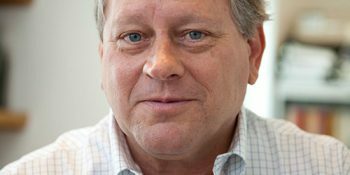 The 2020 Weinman Award recipient will be announced in the Fall of 2019, after nominations have been reviewed and agreed upon by the Weinman Symposium scientific board. Metabolic changes in cancer cells and in cancer patients: interplay with genetic mutations and the immune system. The Weinman Symposium is sponsored by the Barry & Virginia Weinman Foundation. Since 2014, the International Association for the Study of Lung Cancer (IASLC) has been a co-sponsor of the annual meeting. Registration for the 11th Annual Weinman Symposium closes on October 31, 2019. 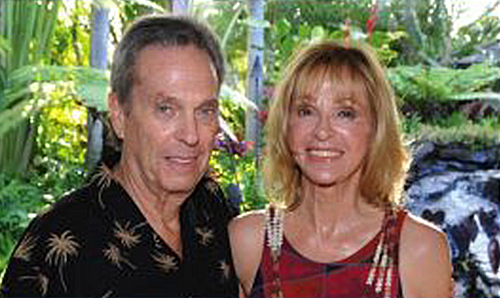 In 2010, Barry and Virginia Weinman created the Weinman Foundation Fund for Innovation, gifting the University of Hawaii Cancer Center with a $1.7M fund. Through this generous gift, the annual Weinman Symposium was established. The goal of the two-day conference is to bring together international experts from different fields of science and medicine, promoting collaboration and brainstorming about specific themes in cancer research. Barry & Virginia Weinman have made enormous philanthropic contributions to encourage innovation in medical research in Honolulu. 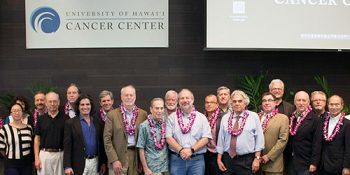 The setting of the beautiful University of Hawai'i Cancer Center provides backdrop for free exchange of ideas and information. 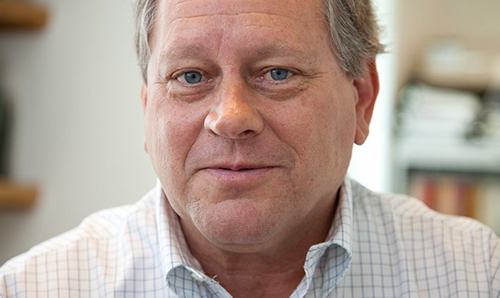 Webster Cavenee, Ph.D., of the University of California of San Diego, discovered the existence of tumor suppressor genes in many human cancers. 9th Annual Weinman Symposium dinner at Dr. Carbone’s home. From left to right: Carlo Croce, Michele Carbone, Harvey Pass, Ann Sharp, Bruce Beutler, Philip Sharp (2017 Award recipient), and Wei Jia. Speakers will present information about the biological mechanisms of these syndromes, along with techniques for helping to improve the lives of people affected by them. This two-day conference features experts in genetic syndromes from around the world, along with scientists and physicians at the University of Hawai'i Cancer Center. When is the Weinman Symposium? The 11th Annual Weinman Symposium is from January 22 through January 24, 2020. Speakers from out of town are invited to arrive on January 21 to attend a speaker dinner hosted by the Weinman Symposium. 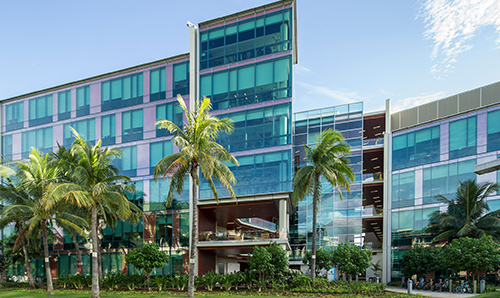 The Weinman Symposium is hosted by the University of Hawaii’s Cancer Center, at 701 Ilalo Street, in the Kaka’ako area of downtown Honolulu. The two-days of speaker events are conducted in the Sullivan Conference Center, which is located on the ground floor of the Cancer Center. The public is welcome to attend. What is the goal of the Weinman Symposium? The overarching goal of the Weinman Symposium is to encourage excellence in science by inviting experts from around the world to share their research and ideas with scientists, professors, and physicians in Hawaii. Each year, the Weinman Symposium Selection Committee, led by Drs. Michele Carbone, Bruce Beutler, Carlo Croce and Haining Yang, determines a theme for the upcoming meeting. What is the theme of this year’s Weinman Symposium? This year’s focus is on cancer syndromes: what are they, what are the mechanisms associated with various syndromes, and possible therapeutic approaches. How are scientists selected for the Weinman Award? Each year, past Weinman speakers and the Directors of the US National Cancer Institute (NCI)-designated cancer centers, along with a few distinguished scientists, are asked to nominate an individual for the award. The selection committee reviews the nominations and chooses the winner. 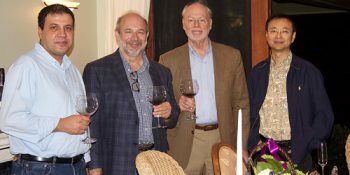 For the 10th Annual Weinman Symposium, the selection committee included Drs. 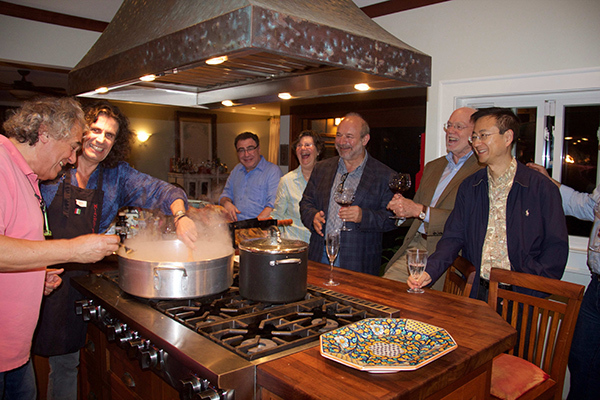 Michele Carbone (Chair), Bruce Beutler, Carlo Croce, and Haining Yang. How do I get invited to speak? If you are a scientist or researcher with peer-reviewed publications in high-quality journals, you are invited to submit your proposal for a 20-minute lecture to Dr. Michele Carbone, Chair of the selection committee. Dr. Michele Carbone and the selection committee meets to decide upon the next year’s theme and select speakers. Is the Symposium open to the public? The Annual Weinman Symposium is free and open to the public, and we encourage members of the community to attend. In particular, high school and college students interested in science are welcome to attend. How can I attend the Symposium? If I would like to bring a group of students, who should I contact? If you are affiliated with a public or private university, middle- or high-school on O’ahu, we encourage you to bring a group of students to the meeting. Because the Sullivan Conference Center has a limited amount of space, please send an email to (info@weinmansymposium.com) and set the Subject to "Student Group request for Weinman Symposium". Can I meet with the Weinman Award recipient? Yes, all invited speakers attend the conference and participate in question and answer sessions during the two-day conference. How can I get more information about this year’s Symposium? Please review the pages on this website.